Gaza – Israel relies heavily on its Palestinian spies, but many collaborators driven by poverty to sell information to the enemy find themselves in danger of elimination from both sides. Ashraf Ouaida, 30, was accused of collaborating with Israel and then executed by the Izzedin al-Qassam Brigades, the military wing of Hamas, on 15 November 2012, the second day of the Israeli war on Gaza. 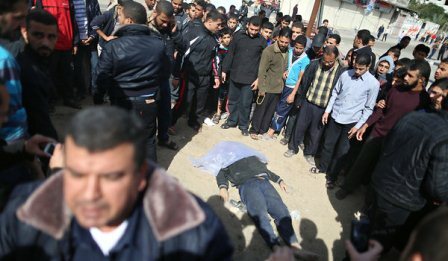 His body was left on Jalaa Street in the center of Gaza City, with a sign declaring the Brigades’ responsibility for the execution and promising to go after other collaborators. Ouaida was being detained in an Internal Security Forces prison affiliated with Hamas in Gaza, where he had confessed in a videotaped statement to his part in the assassination of 15 Hamas leaders. Ouaida said that he started spying for Israel in exchange for money, because he was poor and wanted to become wealthy. The resistance leaders he shadowed included Abdul-Aziz Rantissi, Ismail Abu Shanab, Salah Shehadeh, Ibrahim Makadmeh, Massoud Ayyad, and Said Siyam, among others. 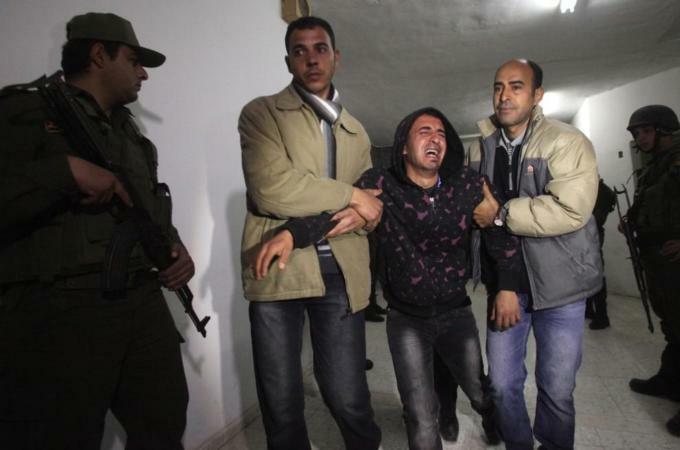 Ouaida also reportedly confessed to spreading misinformation in order to sow confusion in Gaza. It is no secret that Israel would not be able to effectively carry out assassinations were it not for Palestinian collaborators. In fact, the only way the Shin Bet, Israel’s general security service, can target these individuals is through their spies. Eliminating collaborators is considered vital to winning the battle against Israel, and has become a top priority for the resistance factions led by Hamas. Since seizing control of Gaza, Hamas has managed to seriously impede these spies’ ability to operate. The Shin Bet uses many methods to ensnare and recruit collaborators, including exploiting the poverty of some Palestinians by offering financial incentives. Once caught in the trap, these collaborators rarely escape it alive, according to Abu-Hassan, who once helped a relative turn himself in after he confessed to getting caught up in the Israelis’ web. Abu-Hassan said his relative was sentenced to one year in prison, since he was not involved in any killings. But the Israelis would not let their former agent be, and he was killed by an Israeli airstrike that targeted his home in the northern Gaza Strip. Most Palestinians in Gaza agree on the need to root out all and any forms of collaboration with Israel, but they differ on what is to be done with those guilty of spying. Shirine Khalifa, 30, did not hesitate to say that all those implicated as collaborators must not be kept alive, because those who betray their country can never be trusted again. For his part, Hamdi Hamid called for enforcing the death penalty against traitors. Taysir al-Biltaji disagrees, however, pointing out that while it is necessary to capture collaborators, he thinks they should be given the chance to repent, or be sentenced to life in prison if they have committed serious acts of treason. According to Biltaji, the loss of life is a very sensitive matter, especially since Palestinian society blames collaborators for the death of the leaders whom they help track. In the end, collaborators are never safe; they fear discovery by their fellow Palestinians and assassination by Israelis when they no longer have a use for them. This aggression came a few days after the declaration of the alliancebetween the “Hamas” Brotherhood and Qatar, the U.S. and Israeli front base in the region, which was crowned on “Nationial Day” by Qatari Emir LANDMARK, and HISTORICAL visit to Gaza, who fled Gaza after his security found a gun in the Haniya’s headquarters. It also came after Mursi, instead of easing the siege on Gaza, tightened his criminal siege by closure of the official crossings, and destroyed tunnels used to smuggle arms besides food and medicine in collaboration with USA experts equipped with devices able to detect tunnels fro above the ground. Moreover, while following the events in Gaza, I noted that Israel tried to assasinate Dr. Mahmoud Al-zahar, who recently met Nasrallah and visited Tehran. The Israeli military continued its aggression on the Gaza strip besieged by the Zionist Entity and Egyptian Brotherhood. Two days ago, the later brokered a cease-fire that stopped firing of rockets at Israeli cities and towns, as admitted by Hamas leaders yesterday. In a press statement to Al-Jazeera, Sami Abu Zuhri, Hamas spokesman blamed “Israel” for not abiding the understandings that have been reached through Egyptian mediation. The air, land and sea aggression has led to the martyrdom of nine citizens so far, injuring more than seventy, mostly civilians, including the military commander Ahmed Al-Jaabari, who was martyred by a missile from the drone. Israel’s Shin Bet domestic intelligence service has claimed responsibility for the attack, saying that it had killed Jaabari because of his decade-long anti-Israel activities. Israel gave al-Jaabari the title “Chief of Staff of the Hamas movement,” and says that it is him who planed and supervised the implementation of capturing Gilad Shalit,al-Jaabari has appeared Jabari days delivery Shalit to the Egyptian side. In a later development Israeli television reported that the resistance in Gaza was able to hit Israeli warship with a “Korneet” anti-tankmissile which led to the killing of an Israeli soldier and wounding three others. Feeling cornered by the Israeli strike, and Hamas calling the Egyptians to take the street, Egypt Brotherhood, FJP, demanded Egyptian President Mohamed Mursi Mubarak to reconsider the Egyptian-Israeli relations, and to review all ties with Israel, adding that the Israeli attacks require “swift Arab and international action to stop the massacres.” So, the American Brother’s regime announced the withdrawal of its Ambassador from and called for an urgent meeting of the Security Council. “The Israelis must understand that we do not accept this aggression, which could lead to instability in the region,” Mursi said in televised remarks. “Shortly before dawn, I called President Obama and we discussed the need to put an end to this aggression and to ensure it does not happen again,” he said. 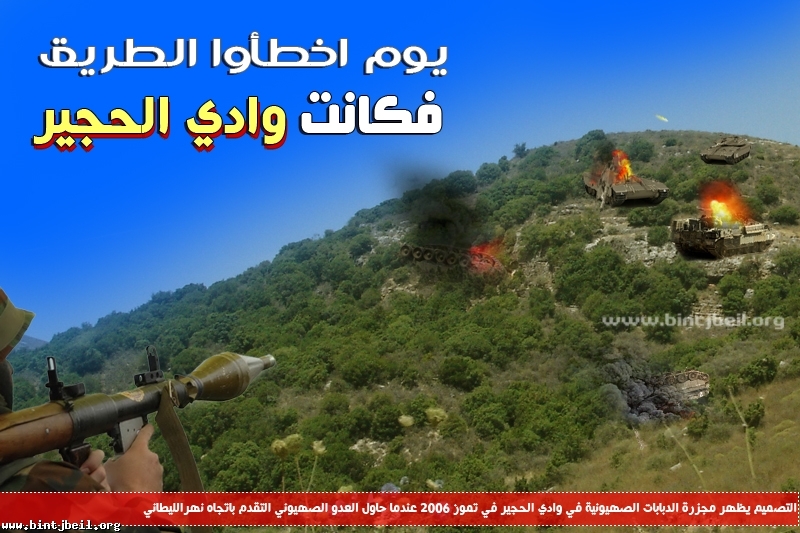 This move was interpreted by observers as a familiar “Dirty Media Game”, to cover brotherhood’s secret plans to impose new security arrangements on Gaza to stop the flow of Iranians and Hezbollah arms to the Non-Hamas resistance factions in Gaza, such as Islamic Jihad and PFLP and others, given that these factions are the resistance in Gaza, after the involvement Hamas Merchants of Venice (GUN), in the American /Arab /Brotherhood alliance. Note that on ground Hamas has become Hamasan (Two), that Hamas in Gaza is at odds with its external wing represented by Mishaal and Abu Marzouk, and insisting on resistance priority over anything else as expressed by Hamas leaders visiting Iran and Hezbollah without the consent of Mishaal, The ungrateful “son” of Hamas and his group. The “quality” of arms that appeared yesterday’s evening in the Gaza Strip in the hands of non-Hamas resistance brings to mind the Israeli media claims that Iran and Hezbollah stopped arming “Hamas” since Khalid Mishaal hired his gun for the destruction of resistance. According to a latest reports the Resistance Factions in Gaza were able to target the southern suburbs of Tel Aviv for the first time from Gaza by three long-range missiles, which prompted a hysterical Israelis response to the Gaza Strip. It is reported that explosions were heard in different parts of the Gaza Strip. As usual, the Majic turns against the Magicians, both the Zionists and the International brotherhood’s magicians. The gate to hell is oppened, a Fajr 5 missele just hit TEL AVIV, leaving parts of it without electricity, 4 settlers are killed, 28 injured. Resistance misselss are not blind. Thanks to Ayyoub. Growing numbers of Israelis reject him for good reason. He menaces them like others. Attacking Iran assures retaliation most Israelis fear. It’ll mean widespread destruction, radiation contamination, and large numbers killed or injured. Israeli political analyst Yossi Alpher called Netanyahu’s antics “overkill. The US establishment is fed up with him. The Israeli public is fed up with him.” He created a “public controversy” and doesn’t know how to get out of it. “(O)nly Barak and Netanyahu have decided yes,” or have they? Bluster often hides intentions. Bullies usually back down when confronted. Winograd’s committee called Israel’s Lebanon war a failure. Political leaders didn’t sufficiently consult with military officials before attacking. They left before they looked. Home Front preparedness was also inadequate. Little attention was given then and again now. A “rain of missiles” may follow attacking Iran. Israel is woefully unprepared. How many Israelis will die for Netanyahu/Barak’s folly? Why should any when peace avoids bloodshed. How much longer will they put up with their bluster? Winograd criticized Netanyahu for complaining about former officials expressing views publicly. He’s more vocal than anyone. Days earlier, Mofaz called Netanyahu “confused, stressed out and unfocused. (He) lost the trust of the security chiefs,” Obama and Shimon Peres. 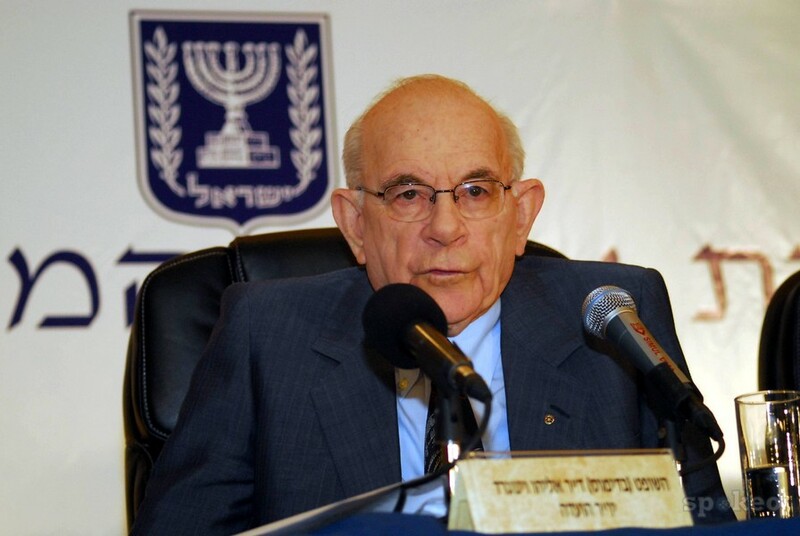 Former Mossad head Efraim Halevy fears a generation of war if Israel attacks Iran. Weeks ago, former Mossad head Meir Dagan said Israel faces no existential threat. He criticized inflammatory warmongering and urged changing Israeli’s system. His bottom line is that Netanyahu/Barak can’t be trusted. How can they be by putting Israelis and others in danger. IDF chief of staff Benny Gantz and Mossad head Tamir Pardo also oppose war. The Israeli Hayom daily has close ties to Netanyahu. In recent weeks, it’s featured a barrage of worrying reports on Iran’s alleged nuclear progress and Washington’s failure to halt it. In the last few days, something changed. On August 31, it highlighted Joint Chiefs Chairman General Martin Dempsey’s comments about America’s unwillingness to be complicit if Israel goes it alone. In other words, the daily out in front echoing inflammatory Netanyahu comments now backed off. “Does this indicate that (he’s) seeking a ladder to climb down from” his perch high up in a tree and very much out on a limb? Perhaps he overplayed his hand. Crying wolf enough times begins falling on deaf ears. Growing Netanyahu/Barak public disapproval also matters. So does disagreement with Washington. It’s over timing, not policy. Key is that Netanyahu/Barak talk is bluster. Without Washington’s support, attacking Iran won’t happen. Haaretz thinks inflammatory Israeli comments damaged US/Israeli relations. Perhaps eventually but not now. Key is what major media reports don’t say. Their common theme is suppressing truth and full disclosure. On Iran, Haaretz is no different. The Islamic Republic poses no Israeli or regional threat. Its nuclear program is peaceful. They know international law prohibits interfering in the internal affairs of other countries. It’s also unequivocal against attacking another one except in self-defense. These issues are ignored in America’s media, what’s seen and read across Europe, and what Israeli broadcast and print media report. They’re key above all others. Failure to discuss them advances the ball for war. Doing so is reckless, irresponsible, and complicit. It puts culpable journalists in the same category as propagandists. Blood will be on their hands if it’s shed. Apologies won’t be forthcoming for being on the wrong side of rule of law principles, support for what should be condemned, and failure to do what good journalists should – their job. They focused on Iran, Syria, Egypt, and US/Israeli relations. The meeting was closed. Ministerial aides and advisors weren’t invited. Military intelligence, Mossad and Shin Bet participated. So did Foreign Ministry representatives. A follow-up meeting is likely. Hopefully opposition to inflammatory rhetoric was stressed. Honest talk about no existential threat needs highlighting and repetition. Truth needs to be separated from what’s not. Above all, avoiding potentially catastrophic war is vital. French Foreign Minister Laurent Fabius is no peacenik. He’s hardline for direct Western intervention against Syria. His no-fly zone/safe haven advocacy means war if either or both are instituted. At the same time, he warns about attacking Iran. “I think that if there were an Israeli attack, unfortunately it could come back to haunt Israel,” he said. “I am absolutely opposed to the idea that Iran would gain nuclear weapons,” he said, “but I think if there was an Israeli attack,” Tehran will be victimized and gain legitimacy. There’s no basis for either except when clear evidence shows foreign forces mobilized for attack. Israeli borders aren’t threatened. Iran supports peace, not war. Its nuclear program is legal and non-military. It fully complies with NPT provisions. Those issues deserve daily headlines. Don’t expect warmongering media to feature them. The staff of Israel’s national airline El Al is known for spying for entity’s secret police, the Shin Bet. In 2009, its former employee Jonathan Garb, a South African Jewish citizen who received his military training in Israel – admitted when South African government expelled two of El Al for spying on Blacks and Muslim passengers at Johannesburg international airport. Earlier, El Al staff had helped Israeli Mossad in kidnapping and smuggling Zionazi leader, Adolph Eichmann, from Argentina to Israel where he was executed in 1961 as result of a Jewish kangroo-trail. The Israeli Consulate in New York posted on its website on June 29, 2012 – the establishment of a new Israeli propaganda lies project (Hasbara). “The El Al Ambassadors is a new joint initiative between El Al Israel airlines, the Jewish Agency for Israel, the Stand With Us organization and the Israeli Foreign Ministry, that places pilots and flight attendants at the forefront of Israeli diplomacy in New York, New Jersey, Connecticut, Los Angeles and Toronto. For the first time in Israeli history a private sector corporation has decided to take on an active roll in Israeli Hasbara, and this project is revolutionary for its unique approach in ‘People-to-People’ programming. This initiative is the brainchild of El Al’s CEO Major General (Res.) Eliezer Shkedy, who decided to take part in the joint efforts to improve Israel’s image around the world, and strengthening the relationship between Jews in Israel and Jews in the Diaspora,” says the official bulletin. Netanyahu, even has a Hasbara Minister in his cabinet by the name Yuli Edelstein. According to Hasbara Ministry website, it generates official lies in five different languages to over 100,000 Jewish volunteers on social media networks in addition to hundreds of bloggers. An old Persian wisdom says: “You can put all the lipstick you want on a pig. But at the end of the day, it’s still a pig“. I guess this is going to be another failed project to counter the international process of delegitimization of the Zionist entity. It cannot hide the truth behind Israel Hasbara Committee’s propaganda lies. Watch a video below. Unless one is standing in front of an attacking army, one has little chance of being hit by the military. Simply, in most situations military units have no jurisdiction over civilians. Military police can easily be spotted on Tel Aviv streets; yet they can’t speak to a civilian, even if he belongs to the reserve army. The maximum they are allowed to do is to call the police and denounce the civilian. Sadly, this rule of thumb has a few exceptions that are related mainly to the work of the IDF Military Intelligence Directorate, AMAN is its hebrew acronym. Due to its secretive nature, the details of its activities (and violations of human rights) are difficult to elucidate, though many details are partially accessible over the media. Today, May 2, 2012, an important hint was published in the Hebrew media, when Brigadier General (still colonel in the picture) Sima Vaknin-Gil—Israel Military Censor—announced that the IDF has launched a new system to monitor information on social media—mainly Facebook and Twitter—as well as blogs and news sites. This adds to recent bits of information to form a chilling picture. Her announcement showed—for the first time publicly—that Israel is related to CAZAB (see MI5, CAZAB and Israel). Ms. Vaknin-Gil claimed that “the new system will examine information using keywords labeled in advance.” This is exactly the way ECHELON—the worldwide listening system operated by the CAZAB network—operates. As claimed in the past here, Israel is an unofficial member of CAZAB with a listening station placed not far from Gaza, in Tze’elim. What Ms. Vaknin-Gil forgot to tell us, is how the system treats information published and stored beyond Israel’s still-undefined borders, and by non-Israeli citizens; a good example of this is the recentpublication of Israeli-censored information by Jewish-American blogger Richard Silverstein. Will AMAN attempt to censor this in the future? Ms. Vaknin-Gil didn’t commit an unintentional omission; simply, AMAN doesn’t want us to know the details of its web-operations in order to instill in us an Orwellian 1984-style state of fear. Oddly enough, the answer to this came from another recent incident. AMAN—and its relatives, the Shin Beth and Mossad—work as a multi-headed hydra; one of the main hints that an event is related to one of these terror organizations is the redundancy in the details. Civilian operations can seldom afford the unlimited budget offered to the intelligence services by the unsuspecting taxpayers. Israel’s Military Censor is technically part of AMAN, but it works as an independent unit. Its head is appointed directly by the Defense Minister—a highly unusual step—and is only subject to parliamentary and judicial oversight. Not even the Minister of Defense can give orders to it. The Military Censor has authority to suppress information it deems compromising from being made public in the media. Probably the most famous event ever censored was the Kav 300 picture (see Kav 300 Forever, picture is reproduced below); the picture was exposed to the Israeli public only after the New York Times published it. This is typical; Israeli news outlets often circumvent the censor by reporting stories “as quoted from foreign news sources,” which are not subject to the restrictions of the Israeli military censor. The trial of Mordechai Vanunu, the assassination attempt on Khaled Mashal (see Mossad, Sonic Weapons & Haled Mashal) and events related to Operation Defensive Shield and Operation Cast Lead were also famously censored. A clear sign of the Military Censor power is the length of his service. A regular post of an IDF officer lasts two years. Yet, Avner Bar-On served as Military Censor in 1951-1953 and 1955-1977. Ytzhak Shani served between 1977 and 2000. The current censor has been in office since 2005. This is highly irregular and allows them to accumulate immense power. Despite what the law says, this power is not limited to Israel. If they want to target foreign media, they can use other units of Israel’s extensive intelligence corps. One of them is the diplomatic corps; diplomats all over the world are nothing but an arm of their country’s intelligence services. In the last week of April, Israel attempted to censor not an unknown American blogger, but a well known CBS program named 60 Minutes. On April 24, 60 Minutes aired a segment entitled “Christians of the Holy Land” that offered an unprecedented look into the Christian reality in Holy Land, under Israel’s occupation. Acting as Israel Military Censor in the USA, Israel Ambassador in the USA—Michael Oren—called the Chairman of CBS News and the Executive Producer of 60 Minutes and protested the report before it was aired. 60 Minutes reporter, Bob Simon, said that he had never received such a call in his many years as a journalist. The red-faced Israeli ambassador shamelessly accused Christians for being anti-Semites. The world has clearly seen an attempt by Israel to censor American media, because it published a piece which was not to the liking of the Zionist state. The Israel Military Censor is trying to influence a foreign country, and the authorities of that country have not reacted at all. A long time ago, I published an Open Letter to the ADL. Let me cite a short sentence from it: ‘…after all you claim to “fight anti-Semitism and all forms of bigotry, defend democratic ideals and protect civil rights for all” and “defend the security of Israel and Jews worldwide.” Your motto is: “To stop the defamation of the Jewish people…to secure justice and fair treatment for all.” You are doing that continuously since 1913; almost a century of undisputed, undiscriminating professionalism.’ Dear leaders of the Anti-Defamation League and their parent organization, the Independent Order of B’nai B’rith, I want to file a new complaint at your office, this time for violation of democratic ideals and civil rights by the State of Israel in the USA; I do that despite your not having answered my first complaint. Will you be faithful to your honorable principles and take action against the State of Israel? Or will you show—again—that you are nothing but an unofficial American arm of Israeli bigotry? On April 25, 2012, IDF Chief of Staff Lt. Gen. Benny Gantz gave a rare interview to the Israeli newspaper Haaretz. As it invariably happens in recent years when Israeli leaders are interviewed, a possible war between Israel and Iran was at the center of the interview. Oddly enough, the general indirectly admitted Israel is bluffing Iran; this interview sums up to several others given recently by Israeli leaders into a very disturbing picture. Israel has not only disclosed the true message behind its public declarations, but also has heavily hinted at the result of any future negotiation. The military option is the last chronologically, but the first in terms of its credibility. If it’s not credible it has no meaning. We are preparing for it in a credible manner. That’s my job, as a military man,” said General Gantz. This is a remarkably vague statement, especially by his inexplicable need to incessantly repeat the word “credible.” Judging his words from the point of view of a Hebrew speaker, such a statement is highly dubious. 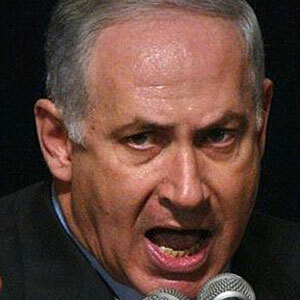 I wouldn’t buy anything from this man; he probably means Israel will not attack Iran, but wants Iran to believe it will. Afterwards he added: “[Iran] will be able to decide whether to manufacture a nuclear bomb. It hasn’t yet decided whether to go the extra mile,” and “as long as its facilities are not bomb-proof, the program is too vulnerable, in Iran’s view.” Here, he awkwardly admitted an error recently committed by Israel’s Vice Prime Minister and Minister of Strategic Affairs, Moshe “Bogie” Ya’alon on February 2 at the Hertzliya Conference. He said then that “the West has the ability to strike [Iran],” (see Israel Bluffs Iran for more details). Unluckily, Ya’alon was bluffing and got caught; one week before Ya’alon’s belligerent remarks, the Wall Street Journal reported remarks by US defense officials according to which the Pentagon is not in possession of conventional arms strong enough to destroy all of Iran’s nuclear facilities, due to their being too deep for bunker-buster bombs. As commented upon in the past, Israel gets its GBU-28 Bunker Buster bombs from the USA. Thus, Israel cannot perform better than the USA on such an attack, especially taking into account the IDF limitations. Ya’alon bluffed. Are these inner wars in the Israeli leadership? This incongruence was so odd, that I made a shortlist of the main Israeli leaders opinions on the topic of a war with Iran. On October 28, 2011, I analyzed the situation in Israeli Defense Ministry Acknowledges Defeat. The article followed a comment on Israel’s incapability of defeating Iran in an interview given by Major General Amos Gilad, Head of the Israeli Defense Ministry’s Diplomatic-Security Bureau. The surprising comment was made in a “Friday’s Cathedra” event in Ashkelon. It was later cited by Yedihot Ahahronot, the largest Hebrew newspaper. This couldn’t have been done without the silent support of the establishment. Gilad said that Netanyahu was the first to hear about a prediction of the Israeli intelligence services that Iran has decided to pursue the path of missiles and nuclear technologies development. He added that Netanyahu sees that as a “great threat,” and that this view is shared by Defense Minister Ehud Barak. The war plans of the latter were recently thwarted by the USA, at least until the November Presidential elections. Netanyahu’s support of the war is openly broadcast on an almost continuous basis by the Hebrew media: “Hold Me Back,” shouts Netanyahu. The support of a war on Iran is true also for Shimon Peres who openly supports an attack on Iran in all the relevant interviews he gave in recent months. Yet, Nahum Barnea—a leading Yedihot Ahahronot journalist—said on that Friday that the IDF Head of Staff Beni Gantz, Mossad Director Tamir Pardo, Head of Aman (IDF Military Intelligence Corps) Aviv Kochabi, and the Head of Shin Beth Yoram Cohen—in other words, Israel’s leading generals—oppose an attack on Iran. 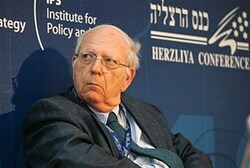 In the past Meir Dagan—Pardo’s predecessor as Mossad Director—defined such an attack as a “foolish idea” in several interviews. In the Israeli media conventions, the former Mossad Director is the closest one gets to a formal statement by this secretive organization. All these points of view were supported in all open interviews appearing in the Hebrew media. Let me further summarize: Leading Israeli politicians support war with Iran. Leading Israeli security services personnel oppose it. This is very odd. In the Israeli (and Western) reality, one expects the opposite: generals want war, politicians want industrial silence. Is this additional incongruence a sign of Jewish wisdom, or something else? The hint to the truth is in the deed itself. General Gantz cannot give a free interview. 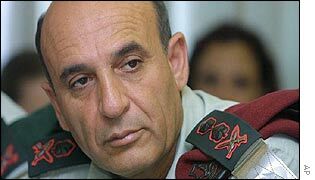 IDF officers must get an approval for such an event; in the case of the IDF’s chief general, the approval must be given by the Minister of Defense himself. It is unlikely that Ehud Barak would have given such an approval without asking what General Gantz was planning to say on the issue of a war with Iran. Similarly, it is unlikely that General Gantz would utter an opinion contrary to the one of his boss without getting previous approval from Barak. The truth is that probably even Netanyahu doesn’t know for sure if Israel will attack Iran. The USA has imposed a veto on such an action until November, but after November Israel may be tempted into a nuclear attack on Iran, as it has been analyzed in Is this Israel’s last Independence Day? Netanyahu wants to keep an ambiguous position on the issue, as he does on Israel’s nuclear capabilities. Yet, inadvertently, Netanyahu disclosed a bigger secret. Israel has lost its right to be considered an honest partner to any talks. Shimon Peres—Israel’s president—may seem active, but his political career was finished in 1981, when he and Menahem Begin competed against each other in what became the hottest campaign in Israel’s short history. Labor was trying to return to power after it lost it for the first time to the Likud Party in 1977. Following two racist events during his campaign, a comedian working for the Likud, Sefy (nickname for Yosef) Rivlin, was invited to run the Likud television campaign. He conducted a successful personal campaign against Peres. Its motto was “Ken VeLo,” namely “Yes and No” in Hebrew. Peres was presented answering “yes and no” to everything he was asked (“Do you want sugar in your coffee?” “Yes and No! Yes and No!”). The combination of Peres’ shaky reputation with the funny voice used by Rivlin and his very disturbing eyes transformed Peres into a clown forever. Peres never won an open political campaign again. In 2012, the Israeli leadership is repeating Peres’ error on a larger scale. “Yes and No; Attack and Don’t Attack,” it is saying. “Credibility” was repeated time and again by General Gantz in yesterday’s interview. Yet, he and Israel’s leadership lost their credibility forever.